In my opinion, abandoning refined sugar is one of the wisest decisions anyone can make. I know it's not that easy, especially when you go out with your friends; and find yourself face to face with a bunch of eye dazzling desserts on the menu list. But think about it. 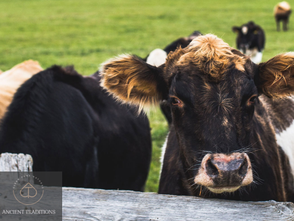 Anyone on the 'hunger mode' will eat just about anything they find in front of them. At least I do! So the next time, save yourself the trouble and take a bite before you go out with your friends. 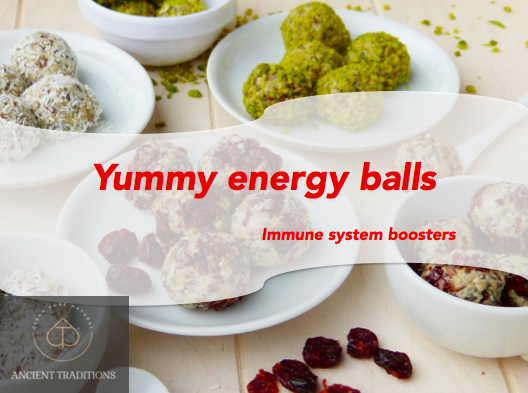 These delicious energy balls are not only satiating, they are also very healthy as they contain dates and nuts. I've also added some colostrum for its mind blowing health benefits and raw cacao powder to add that extra kick to the taste. Whenever you feel rundown after a long exercise or day at work; or simply can't resist the urge for a sweet treat, indulge yourself with one or two of these energy balls. Ah..Don't forget to share some with your friends! - 1 cup pitted dates, preferably majdoul. - 1/3 cup hot water. - 2 cups almond flour (powdered almond). - 1/3 cup raw cacao powder. - 1/2 cup ground pistachio, coconut, cacao powder or any other type of nuts. - Soak dates in hot water for half an hour. - Put soaked dates, almond flour, cacao powder and colostrum in a high speed blender and blend for one minute. - Shape the mixture into small balls then roll over the ground pistachio. For more variations: Add cardamom or cinnamon to the soaking water. Add a handful of cranberry to the mixture before shaping it into balls.